What do global leaders contribute? are appropriate and achieve the organisation’ objectives. improve it, is debated in research. The universal facilitators of leadership effectiveness: trustworthiness, visionary, communicative. Intellectual capital: global business and organizational savvy: psychological capital: openness to differences, capacity to change, social capital: the ability to build trusting relationships. 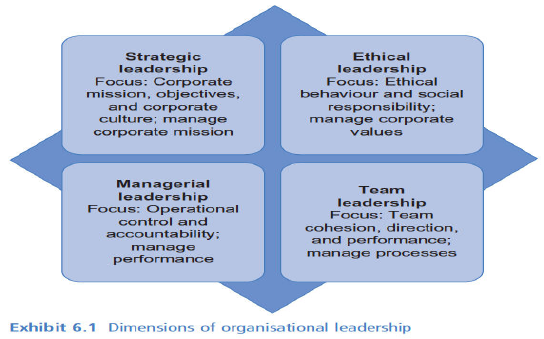 Dimensions of organisational leadership: leadership is an ability to influence, motivate, and enable others within the organisation to contribute towards the effectiveness and success of the enterprise, some managers may be charismatic; other may not. Some situations or locations may suggest participative managers; others may not. Some cultures may value team- oriented managers; others may not. The cultural contingency in the leadership process: an integrative model: context content leader-follower situation motivation effect outcomes. It includes having self-awareness, culture general knowledge, culture-specific knowledge, and being able to objectively analyze challenges in cross cultural interactions. They include relationship building skills, behavioral skills such as listening, problem solving, empathy, information gathering skills. Approaches of leadership: universal approach, the belief that leadership traits and processes are relatively constant across cultures.